Backed up drains are a part of life. Even if you make sure to do your best to keep your drains and sewer lines clear, you can’t always guarantee that it’ll work. That’s why Forbes Plumbing, Inc. is here: to make sure that when your drains do back up, it doesn’t put your entire life on hold. All of our drain cleaning equipment is top of the line and our professional plumbers are highly-trained experts who can handle any problem you and your home may face. Our best advice when it comes to slow drains is to call an expert as soon as you notice that something isn’t right. Unchecked slow drains lead to clogged drains. Common warning signs of a slow drain include water backing up in the sink, tub, or shower. The cause of this problem can be as simple as hair or gunk build-up in the drain or as complicated as incorrect pipe gravity flow, drain vent issues, or problems with overflow tubes. No matter the problem, Forbes Plumbing, Inc. has the tools and techniques to take care of it. Clogged drains are annoying, but luckily they are a problem that is easily solved. Whether it’s your toilet, sink, shower, or sewer line that’s the problem, we’re happy to send a technician over to fix it. In fact, since your toilets, sinks, and tubs share the same drain, a small clog can become big if not addressed quickly since it will effect your entire home. Whether you’re interested in addressing an existing problem or want to prepare for a change in seasons by flushing your entire system, contact Forbes Plumbing, Inc. today and schedule your service day and time. Used after a professional sewer line cleaning, RootX makes it easy to keep roots from invading your sewer lines, storm pipes, and septic systems. When applied by a professional like Forbes Plumbing, Inc., RootX is guaranteed to keep the lines free from live root blockage for 12 months. The patented RootX formula foams on contact with water to reach the top of the pipes where 90% of the roots are. Degreasing agents strip away grime so the RootX herbicide can penetrate the roots, killing them on contact. 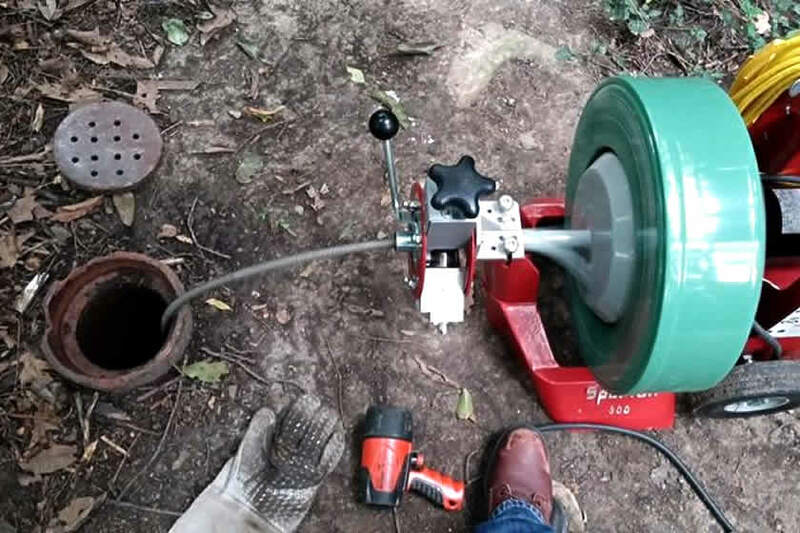 If it has been more than a year since you had your sewer lines rodded, contact Forbes Plumbing, Inc. today and schedule your sewer rodding and RootX treatment before tree roots are a problem in your drains.